Yeah, but: My mother always said: "Leave well enough alone." 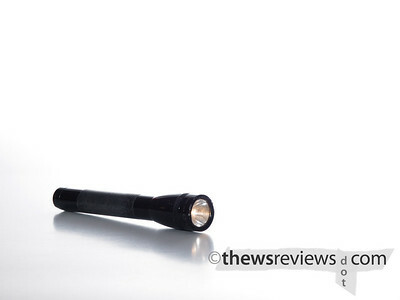 The Long Version: Eleven months ago, Keith reviewed the Nite Ize LED upgrade to this flashlight, which has proven to be one of the most popular pages on this site. 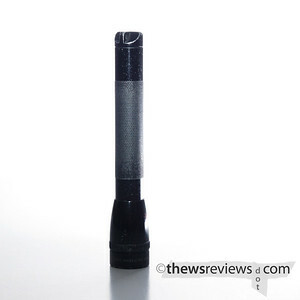 I've also mentioned it in a few other flashlight reviews, but it's always been the one that gets outshone by brighter lights. I thought that it was finally time to look at the original light that started off my collection. This isn't actually the light that I first used, but it might as well be. I found it in a parking lot about thirteen years ago, and it hasn't actually changed its appearance much since then. It was clearly a heavily-used tool long before it got to me. And they are very useful tools, being just bright enough to use as a task light without being so bright that they dominate the room. It's not what I'd reach for in a back alley, abandoned building, or the really scary basement at work, but it has its role that shouldn't be overlooked. But time moves on, and the AA Mini Maglite has remained the same. The shape is very comfortable and easy to carry, but the batteries don't last as long as a modern LED lamp, it doesn't have a regulator circuit, and the twist-switch isn't the most convenient. But for what it is, it's very good, and I wouldn't trade my old one for a new model that fixed all of my quibbles. But I would - and do - buy completely different designs that offer their own compromises instead.